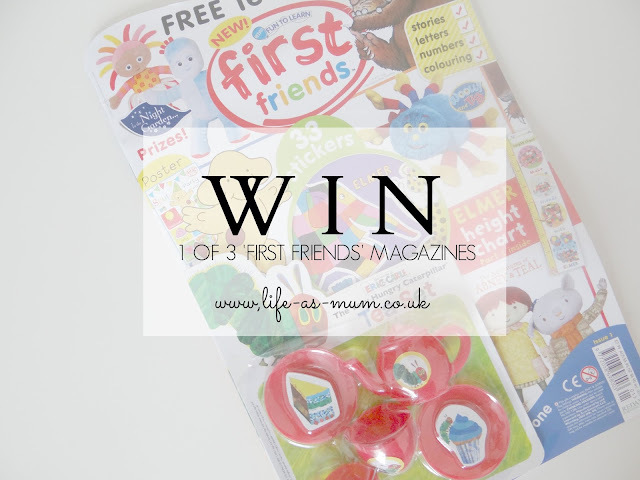 First Friends Magazine Review and Giveaway! 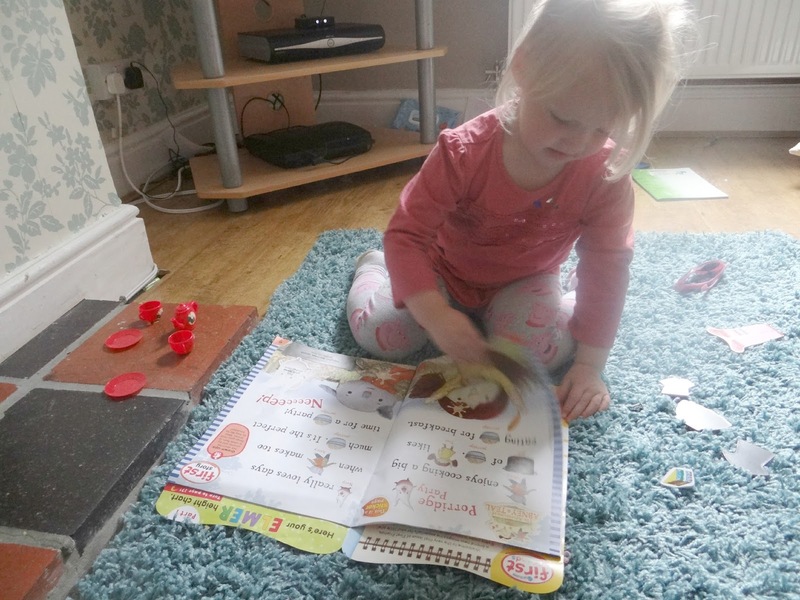 We were recently sent a copy of 'Fun To Learn First Friends' magazine. Just like every other toddler/child both my girls love magazines. First Friends aim for toddlers and children aged 2-4 years old. 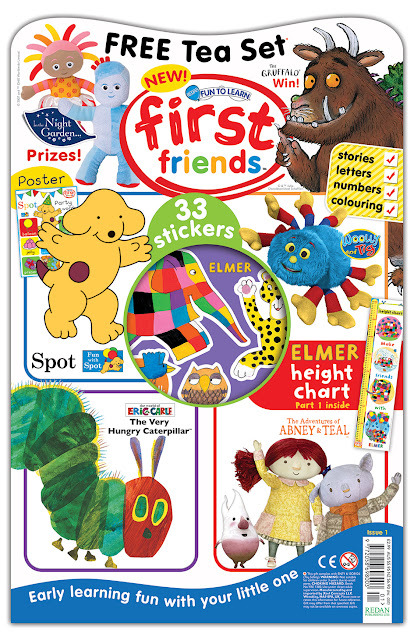 The magazine has a mix of characters from popular TV shows such as Woolly and Tig, Spot, The Very Hungry Caterpillar, The Gruffalo and Elmer. 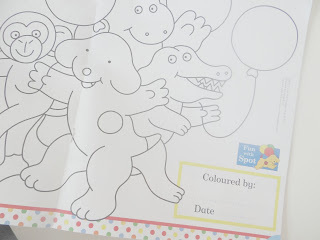 The magazine has a mix of activities such as colouring, reading and sticking stickers. The stickers are big enough for the child to take off with their little fingers. This magazine is fun, colourful and will definitely catch your little one's eyes. With the fun shaped front cover and the free gift that comes with every magazine. Elliw loved this magazine. She especially loved the free gift that came along with the new magazine. The stickers were perfect size for her little fingers to peel off. There were plenty of activities for Elliw to do and kept her quiet for a long time. Although some stickers got put on the window and walls, the rest did go in the magazine. As a parent, it was nice to see bigger writing for the stories and seeing different characters for a change instead of the same ones as in other magazines. There was half a height-chart at the back of the magazine and you can get the rest in issue 2 which comes out in August. There was also a Spot poster which will look great in one of the girls' bedrooms. Elliw loved this magazine and I was very pleased. We have teamed up with FTL First Friends and giving away 3 copies! For your chance to win 1 or 3 copies of FTL First Friends, just follow the rules and enter via the Rafflecopter below. Remember to read Terms and Conditions first. Giveaway ends 25th July 2015 at 11.59pm. Winner will be chosen at random via Rafflecopter. All entrants and winners will be checked. If anyone is found cheating then you will be disqualified from this giveaway. There will be 3 winners. 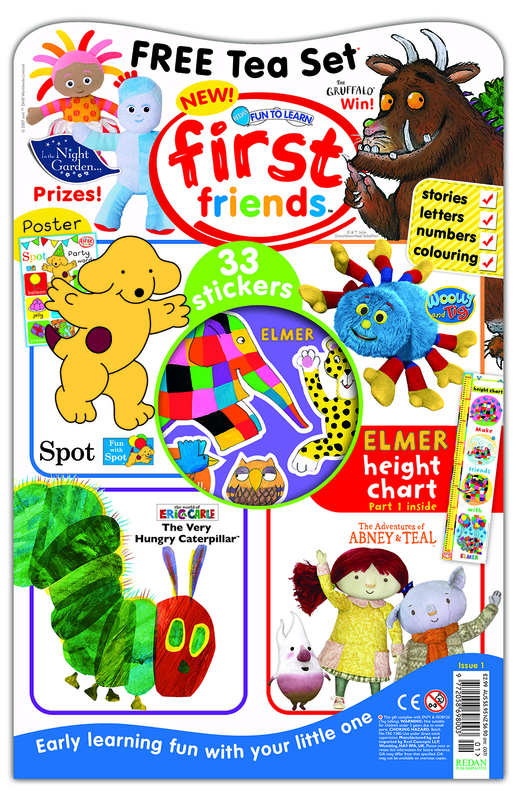 Each winner will receive one copy of First Friends Magazine. Winners will be e-mailed within 48 hours of giveaway ending. If there is no reply from the winner within 14 days then another winner will be chosen. Good Luck and enjoy. Who is your Childs favourite character? . . . . . . currently - his daddy!!!! 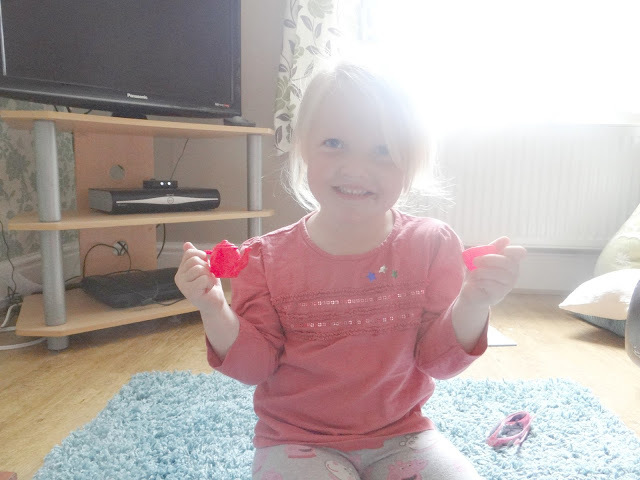 My daughter loves Peppa Pig!!! Peppa Pig is my little girls favourite at the moment. Peppa Pig is especially popular!